Five blocks of residential development land on Auckland’s central city-fringe Auckland have been placed on the market for sale. 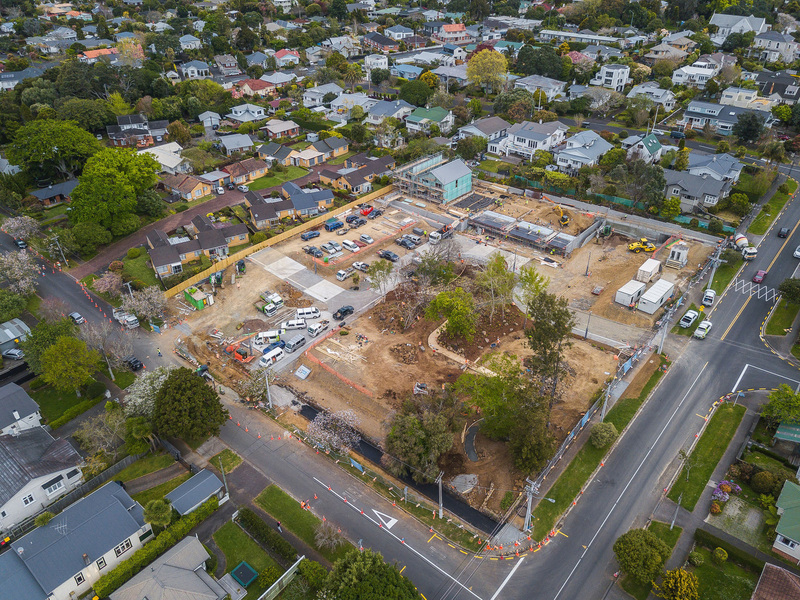 The blocks encompass 20 individual freehold sections in the suburb of Mount Albert, and are being sold with resource consents already in place for the building of four-bedroom townhouses. Each of the multi-unit blocks at 33 Asquith Avenue – on the corner of Burch Street – contain between two and five sections each, and can be bought individually, as one ‘super-block’ or in any combination of lots. In total, the blocks were part of 8,094 square metres of land, which has a Special Housing Area designation under the Auckland Unitary Plan. The three residential blocks of flats previously on the site – which had housed boarders at nearby Mount Albert Grammar School – were demolished in February 2015. Now the five development blocks are being marketed for sale for tender through Bayleys Mount Albert, with tenders closing at 4pm on November 21. Bayleys Mount Albert salesperson Jock Kooger said it was extremely rare to see bare residential landholdings of this size so close to the central city come up for sale in a suburb renowned for its character bungalows – many dating back to the early 20th century. “As the lots will come with their own freehold title and resource consent already granted, buyers can choose to apply for building consent or apply for any changes to the current designs to suit their requirements,” Mr Kooger said. Mr Kooger said the Asquith Avenue development enclave was well supported by a gamut of social infrastructure services – with Baldwin Avenue train station only 200 metres away, the Mount Albert Aquatic Centre and Mount Albert Grammar School some 500 metres away, and St Luke’s Mall just over a kilometre away. “Because there are so many permutations of how the five blocks could be purchased, it is impossible to put a set number on their value either individually or as a total package… which is why the blocks are being marketed for sale through a tender process, so the vendor can assess all options to maximise the asset’s value,” Mr Kooger said.